Outflow winds caused the Cache Creek Fire to jump containment lines to the north during the night and to the west on Tuesday. The large column of smoke seen Monday afternoon was from a spot fire over the line on the west side of the Cache Creek Fire and burned in the bowl east of Battlement Reservior Road, according to the latest from the federal incident command team. Fire personnel have been in close communication with Garfield County officials regarding the status and progress of the fire. 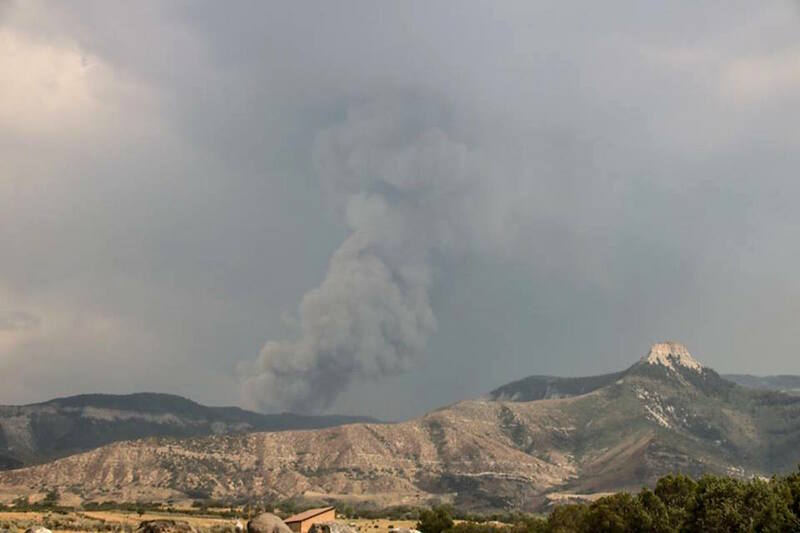 The flare up caused significant smoke to spread east and settle into Colorado and Roaring Fork River valleys. Public health officials advise that people with special respiratory needs should continue to monitor the air and take precautions for their comfort and health. For more information about wildfire smoke, visit http://www.cdc.gov/disasters/wildfires/smoke.html.